It has been a long time since I have read a picture book. When Ashley Tetzlaff asked me to review some of her books, I agreed. I had been interested in her books her books for a while and some of them were on my to-read list. I was very excited when a package arrived with three picture books; I thought I would be bored. Instead, I found myself really enjoying the stories that these books contained. 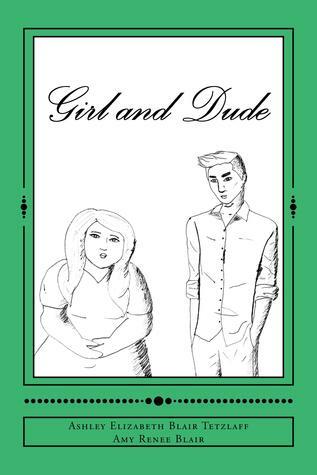 Girl and Dude was a sweet tale of love in its purest form. Dude meets girl. Dude and girl both try to change to be acceptable to the other. They find that they didn’t really need to change. This tale was so sweet and the message that girls and dudes alike need to hear, even when they are small. 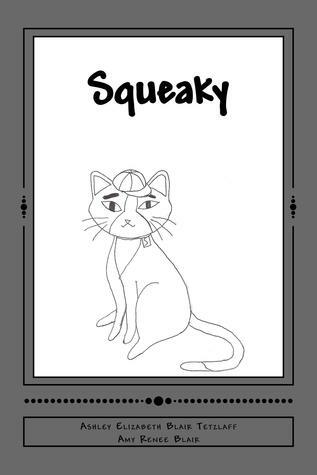 Squeaky was a delight. The visuals in this were so fun. This story really showcased Ashley’s and Amy’s imagination and talent. Being short in stature myself, I also could relate somewhat to this little kitten. I know that little ones as well as grown-ups will enjoy ready this story over and over again. Debra the Dove Feeds the Hungry was my favorite of the stories. I think it has to do with working at a food pantry. This has another wonderful lesson tucked between the beautiful illustrations and cute story. A lesson that we may have all we need and more, but there are many people in this world that do go hungry. I highly recommend these stories for children, and children at heart. I received this book from the author in exchange for my honest review. I was under no obligation to write a positive review. The opinions in this review are entirely my own.